Eurasian Milfoil invades Little Platte! The flowering stalks shown in the header image of this page may look somewhat pretty, but the plant (Myriophyllum spicatum) can turn a lake into a quagmire of seaweed. At our association meeting in June 2017 we received confirmation that this species has invaded Little Platte Lake. Left unchecked the milfoil could make boating, fishing and all sorts of water recreation all but impossible in a lake as shallow as ours. In response the Board of LPLA acted quickly this past summer, appointing an Invasive Species Committee and hiring Restorative Lake Sciences, LLC to do a comprehensive assessment and recommendation. Based on that report the Board has adopted a plan to begin treating the lake to clear Eurasian watermilfoil in 2018. The good news is that your membership in and financial support of LPLA has made it possible to fund this early-stage assault against the 6-acre patch (less than 1% surface area) of Eurasian milfoil found in Little Platte Lake. The bad news is that fighting invasives will not be a one-time proposition. And with reduced financial support available from state and local governments, the cost of fighting aquatic invasives will be borne largely by LPLA members. According to the November 2017 newsletter from Michigan Lakes and Streams Association ". 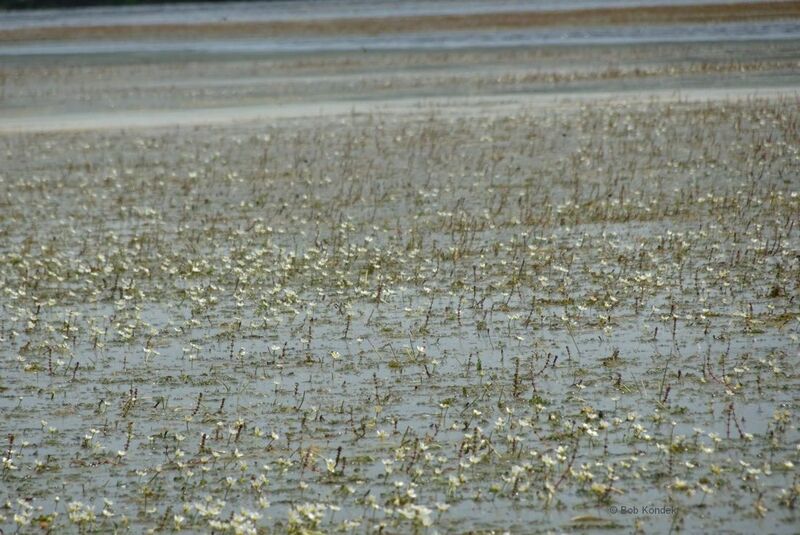 . . lakefront property owners now ‘voluntarily’ spend in excess of 30 million dollars a year to protect their lakes from the ravages of exotic macrophyte species such as Eurasian water milfoil and Starry stonewort." A lake full of flowering Eurasian milfoil and minimal open water. As a concerned citizen you can keep track of proposed legislation that could weaken or strengthen laws that protect the Great Lakes or inland lakes like Little Platte. Freshwater Future keeps track of pending legislation affecting the Great lakes and makes it easy to send an email or make a phone call to civic leaders concerning such legislation. Michigan Lakes and Streams Association is an invaluable resource with respect to legislation affecting inland lakes in Michigan. Finally, as mentioned in the Action Plan (see links below), the initial cost of treating Little Platte Lake for this nasty, non-native weed will significantly tap the current LPLA budget. Outside funding to help with this project, both now and into the future, will be pursued. In the meantime please consider making a tax-deductible contribution to LPLA to help fight the invasives!